As a newbie marketing director, I was told the foundation of a credit union was “People Helping People”. It was the statement of pride for each credit union about why they were in business and added to it was, “Not for Profit but for Service”. For a credit union, it really was a great foundation for talking about why someone should become a member. Whether the credit union was a single sponsor charter or had a large list of Select Employee Groups or was a community charter, the key was the relationship with each member. The shift to offering checking and filling the void of the collapsed savings and loan industry in the 90’s brought with it the more direct competition with banks. Little by little, the whole concept of “people helping people” became, “lowest rates and fees with higher dividends on savings” or “we have free checking”. 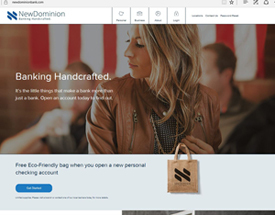 Another example found online from my swipe file is New Dominion’s approach, diverted from the basic, “we have mobile and great rates.” Their brand message: Banking Handcrafted. What is the process, the member journey, for making the experience with online services and branch or call center experiences seamless? What can we do to provide extraordinary member experiences? What is a differentiator that makes an emotional connection with your member or prospective member? This is the beginning of crafting a new brand story to build that member experience that gives each individual an emotional connection that keeps them coming back to do more financial business with your credit union! As your staff and your marketing develops the consistency of this brand story, you will naturally develop ambassadors who tell their co-workers, family members and friends about your credit union. 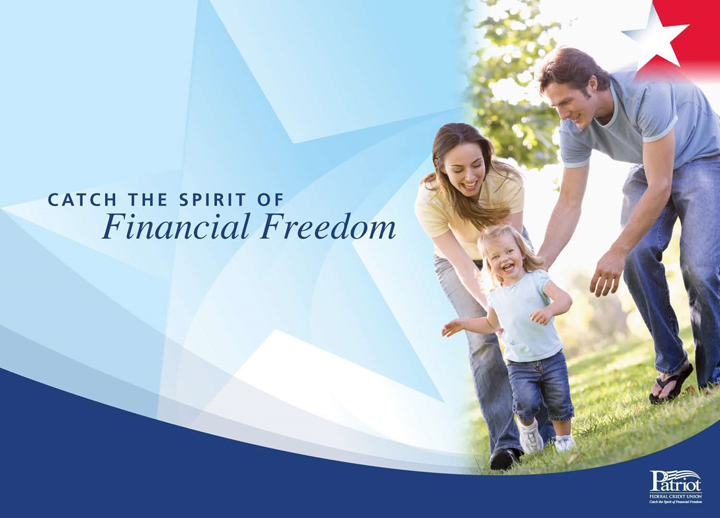 The photo of “Catch the Spirit of Financial Freedom” was a branch wall graphic design for a branch for the tagline for a client used to build an emotional connection with the credit union’s name, Patriot, and the desire for members to have financial freedom. Want help making sure your brand is primed to help you reach your goals? Consider a Strategic Marketing Audit from our LemmonTree team. Plus, crafting your brand message and marketing to achieve your goals is what we do! Email us at 7solutions@lemmontree.com or call us at 480.967.1405.